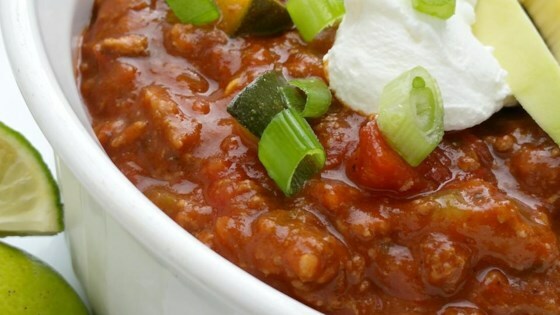 Combining fresh and canned ingredients make creating this chili a snap. This was EXCELLENT! My husband, who is NOT a fan of ground turkey...really enjoyed it. Even after I told him it was turkey, he gave it a "thumbs up". Will make again.